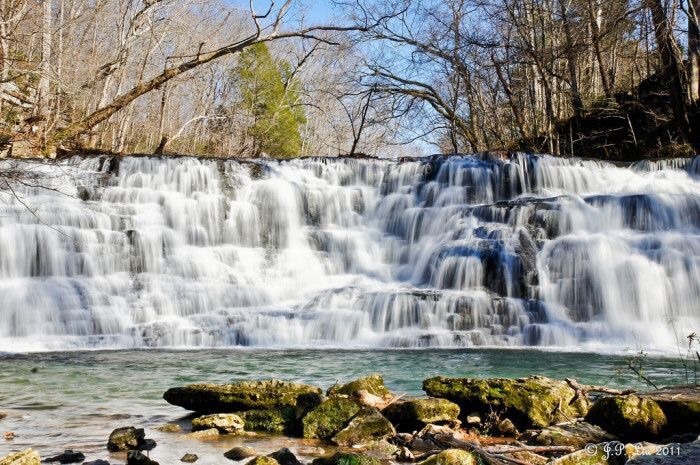 Not only is Tennessee home to a great music scene, amazing food, lots of Southern hospitality and friendly people, it's also home to plenty of beautiful land, rolling hills, and GORGEOUS waterfalls within driving distance from Nashville. Even as a native in Nashville of 29 years, it seems like I just can't get enough of exploring our beautiful state! Rutledge Falls is 40 feet high. *please note it's a little difficult to find, but you can park near the church. This is privately owned, open from dawn until dusk. Hiking. The hike will be challenging and require you to walk through water. Day-use park only. Pets allowed on a leash. No camping is allowed but available nearby at Standing Stone State Park and Edgar Evins State Park. Cummins Falls is 75 feet high. Swimming. The large swimming hole is great for jumping or diving into. Hiking. You will want to head down the Cable Trail to get to the bottom of the waterfall. 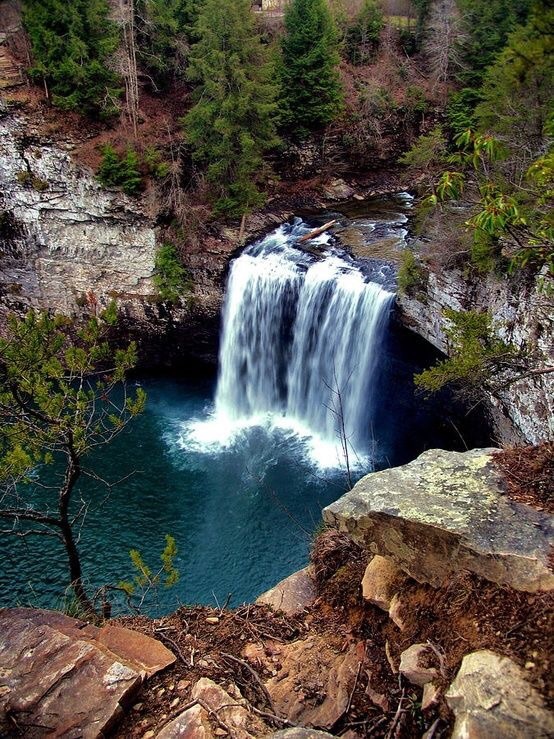 Cane Creek Falls is 85 feet high. Hiking. It is 0.8 miles to get to the falls and described as moderate. Trails open from April-October and dogs are allowed. They must be kept on a leash. Swimming. There is an aqua blue swimming hole. Ozone Falls is 110 feet high. Both waterfalls are 80 feet tall. Foster Falls is 60 feet high. Swimming in the "Blue Hole"
Hiking: 1/2 mile hike to get to Greeter Falls. Dogs allowed and must be kept on a leash. Greeter Falls is 50 feet high. Contrary to the beliefs of TLC and all of us who have been singing along to "Waterfalls" since 1994, I say you should absolutely go chasin' those waterfalls! I know, I know, the song has no relation to actual waterfalls, but I couldn't resist. Have fun & most importantly BE SAFE! !